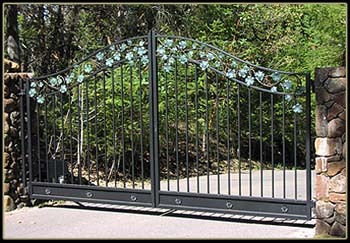 Custom bi-parting gate with hand forged grape design in the valance. Powder coated black, natural painted grapes. These gates are automated. Copyright © 2004 Jensens Ornamental. Inc.